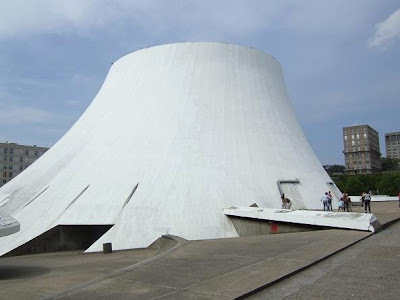 This House of Culture in Le Havre was constructed in 1982 by the Brazilian architect Oscar Niemeyer. The building shaped like a volcano shelters a theatre and a cinema showing independent films. The complex is composed in two large auditoriums, Le Grand Volcan with 1200 seats and Le Petit Volcan with 200 to 500 seats.